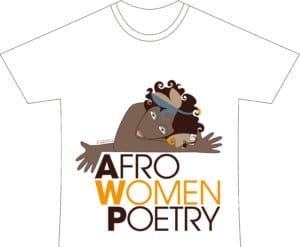 AfroWomenPoetry has one main goal: narrating women of Africa through poetry. It’s an ambitious project: it’s our intention to get to know representatives of female poets in each of the Sub-Saharan African country, and to introduce them to you. Surely, it will take time and effort, yet we wish that more and more passionate people will join who has already taken this path. One day we started our journey — we are women ourselves — meeting some of these “narrators” along the way. We decided to record them in their own house, community or in their workplace. We strongly believe their environment is essential for two reasons: to create some intimacy, rather difficult to establish with someone you don’t know, and to get closer to their lives. Their verses draw upon their own personal experiences and are inspired by those of thousands of other African women. Domestic violence, the longing for freedom and autonomy, gender equality, the respect for the environment, rigorous social and familiar dynamics: these are some of the themes covered by the poetesses that we are presenting to you. We hope that, with your support, we will fill up this box with many female voices, with intense emotions, with powerful stories. To see and to understand Africa from a little closer. Through the words of the women.